I started to get skeptical just a few minutes into a talk by Scott Rigby and Troy Skinner - game consultants from Immersyve who focus on the psychology of games - titled "The Importance of Player Autonomy: Motivating Sustained Engagement Through Volition and Choice." They made bold claims early in the talk about the death of a number of genres. Platformers I could understand, as they've been largely dead for years. Racing games dying off made sense to some extent as well, even though there were some franchises keeping the genre from resting peacefully. Narrative games, though, made me skeptical. 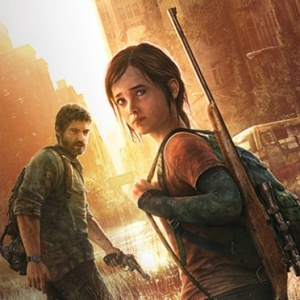 The Last of Us won an unreasonable number of Game of the Year awards - including the Game Developers Choice Awards later that evening - and was considered a commercial success. How could they consider narrative games dead? Success is relative, it turns out, and a bit of research shows just how right they are. It's almost unfair to compare The Last of Us to a juggernaut like Grand Theft Auto V, but GTA V sold twice as many copies in 24 hours as The Last of Us has sold in its lifetime. Maybe it's a bit more reasonable to compare it to Assassin's Creed IV: Black Flag instead. It's another open world action adventure, but it didn't set a world record for biggest entertainment launch in history. In just a few short weeks, from launch until the end of 2013, Black Flag sold some 10 million copies, compared to The Last of Us' six million in six months. The Last of Us was the most well received narrative game I've heard of in recent memory, and it scored a full 10 points higher in Metacritic than Black Flag, yet sales were dwarfed by the game that allowed players to write their own story. The notion of autonomy is, in Immersyve's view of gamer psychology, a prime motivator for a player to sustain engagement with a game. They were quick to point out, however, that autonomy is not to be confused with independence. Additionally, you shouldn't confuse a lack of structure for autonomy. In fact, they cited studies that showed that autonomy is actually improved in a structured environment. The structure in Skyrim for example, nudges you in the direction of the main quest line, but never takes control of the player and forces you to follow the path. There's structure in side quests, which give you clear objectives, but rarely if ever dictate that you complete them. This gives players the sense of autonomy - that they're in charge of their own story - and nearly any action a player takes in Skyrim is a volitional choice. It's what they want to do. To really drive their point home, they offered a huge list of games ranked in order of a blank column of a mystery statistic. The games at the top were the highest grossing titles, like Grand Theft Auto, Call of Duty, and Skyrim, but they offered dozens of other games to demonstrate the point. After taking some time to offer some context, they revealed the mystery column to be "Average Days Played." According to their data, there is a near direct correlation between the average number of days played and the revenue generated by the game. According to the speakers, at least, this one stat explains the entirety of console gaming. Players are, above all, value sensitive. 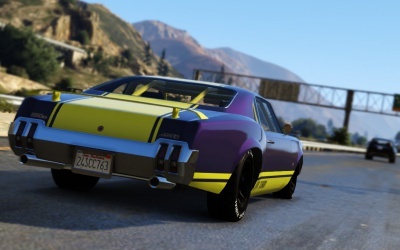 They want to get as many hours and days of gameplay out of their $60 as possible, and developers willing to offer them this value are going to earn their dollars. While I'm not entirely convinced of the universality of their claims - it didn't really touch on the fact that Battlefield and Call of Duty offer very similar experiences, but see vastly different returns - I couldn't ignore the facts as they pertain to different genres. Open world games are almost universally better sellers than their less open counterparts. In fact, I can't help but wonder if that's part of the reason I enjoyed Rivals when I haven't really appreciated a racing game in years.